You know it's spring when your weekend consists of a wedding and graduation party planning. Last night we went to the wedding of a man who's been a friend of my husband's for more than 35 years. 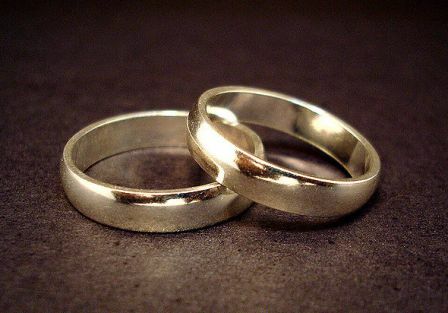 It's a second marriage for both the bride and the groom and between them, they had enough grown children to have a large wedding party. It was great to see our friend so happy and fun to get to see so many people we haven't seen in a while. 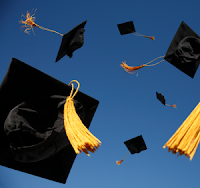 At our house, we're working hard to get ready for our baby to graduate. A graduation is always such a great excuse to get some things done around the house that you've been wanting to do for a while. I'm doing some painting, getting the flower beds and potted plants ready, rearranging furniture and replacing hardware. I still have such a long list of things I want to get done in the next month. My house is going to look great but I don't know when I'm going to find the time to read! Thank heavens for my lunch break, because I do have a lot of reading commitments this month. Coming up for review I have "Lulu In The Sky" by Loung Ung, "My Father's Country" by Saima Wahab, and "State of Wonder" by Ann Patchett. For book club, this month's selection is Lionel Shriver's "So Much For That," and, of course, the "Bleak House" readalong continues this month. Do you have any big activities you're looking forward to this spring? What's on your nightstand in May? Much as I'm looking forward to watching my daughter cross that stage, I can't tell you how much I'm looking forward to putting my feet up and reading, reading, reading come June! Let's just get straight to it this week. I'm pretty sure Dickens was trying to make me mad (by either definition) with the chapters we read this week. It was either love it or hate it. 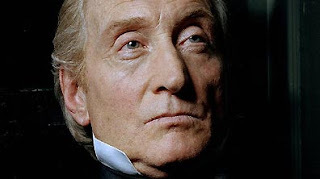 What I Liked This Week: Things finally are coming to a head with the relationships between Tulkinghorn and Lady Dedlock and Mr. Jarndyce and Esther and the feelings between the two pairs could not be any more different! It's going to be fun watching what happens with both love and hate as we move forward. What I Didn't Like This Week: For a good part of two of this week's chapters, I was bored senseless. I get it, Charles, you really, really dislike government and the legal system. Enough already. 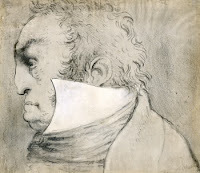 "He [Mr. Vholes, an attorney] never misses a chance in his practice; which is mark of respectability. He never takes any pleasure; which is another mark of respectability. He is reserved and serious, which is another mark of respectability. His digestion is impaired, which is highly respectable. And is his making hay of the grass, which is flesh, for his three daughters." 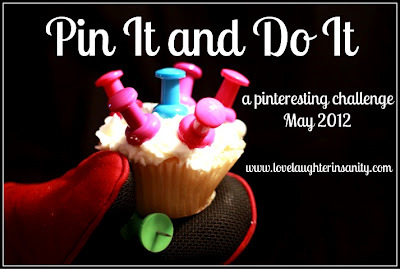 Trish, of Love, Laughter, and A Touch of Insanity, found herself doing an awful lot of pinning over on Pinterest but not doing an awful lot of "doing" and the idea of a Pinterest challenge was born. I'm jumping into the deep end of the pool on this one and this is one challenge that I know I can finish! The challenge officially starts May 1, but Trish has kindly allowed us to get a jump start if we'd like. I've already done two of the eight plus pins I'm shooting for: eggs in avocado slices and avocado toast. Miss H was especially excited to try eggs in avocado slice; as a vegetarian, eggs are her protein of choice. Sadly, this is one we won't be making again. I'm not sure where they got eggs that small or avocados that big but we had much too much egg to fit in a small hole in an avocado slice. And warm avocado? Not a hit. 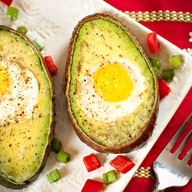 The best part of eggs in avocado slice? All of that leftover avocado you get! We used it to try avocado toast which we both loved. Okay, it's really not much more than guacamole on toast but we made lovely french bread toast and it was quite delicious. It just may become our Sunday evening light dinner With protein, potassium, fiber and loads of great vitamins, we won't even have to feel guilty about eating a delicious food! Since I'm prepping for a graduation party the end of May, I'm sure that most of my entries for this challenge will have to do with trying foods we might want to serve at the party. Of course, I always like to do some new things around the house before a graduation party, so my For The Home, DIY, and Craft boards are bound to come into play as well. Do you pin? Interested in giving it a try? Let me know if you'd like to see what all of the talk is about and I'll send you an invitation. But far warning - you're liable to become every bit as addicted as Trish and me! In a dark cove, deep in the Appalachian mountains, Laurel Shelton has lived a lonely life. Born with a birthmark the locals deem to be the mark of a witch, Laurel has spent the years since her parents' deaths mostly alone except for her brother, Hank, with only the hope of something more. Then a stranger appears in the woods, with only a flute and a note explaining that his name is Walter, he can't talk and he is bound for New York. When Laurel discovers Walter nearly dead from yellow jacket stings, she brings him to the cabin where she convinces Hank to help her save him. As Walter heals and begins to become a part of life on the farm, Laurel begins to imagine a life with Walter. As much as I would love to keep talking about this book, I will instead caution you not to read too much about this book before you pick it up. Do not, do not, read the publisher's blurb. 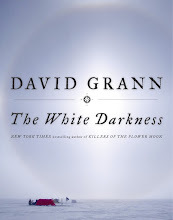 Because you really should read this book and it really should take you by surprise. Be forewarned, much gushing is about to ensue. Rash's Serena was one of my favorite books of 2009. The story and the voices from that book have stayed with me for more than two years so I was both eager and anxious to read The Cove. Just as he did with Serena, Rash has created a story with an underlying tension throughout. I knew, I knew, that very bad things were going to happen so I imagined all of the ways Rash might take the book. Not one of them was right; the man is a genius at taking his books in directions the reader will not see coming. Rash never loses control of his large cast and when their diverse paths begin to come together, it feels natural. His characters are both astounding and utterly ordinary and believable. Rash masterfully addresses small town prejudices, patriotism and propaganda, and hope against all odds. The book has it's flaws, to be sure. Some characters could have been developed more, others less. There is a long detour about a ship that seems unnecessary. All is forgiven, though, because Rash's lyrical prose is just that good. 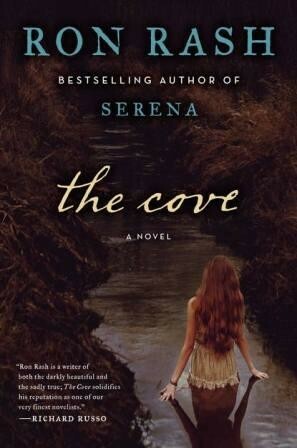 The Cove is a book I couldn't put down and was sorry to see end. For other opinions about this book, check out the full tour. Ron Rash is the author of the 2009 PEN/Faulkner Finalist and New York Times bestselling novel, Serena, in addition to three other prizewinning novels, One Foot in Eden, Saints at the River, and The World Made Straight; three collections of poems; and four collections of stories, among them Burning Bright, which won the 2010 Frank O'Connor International Short Story Award, and Chemistry and Other Stories, which was a finalist for the 2007 PEN/Faulkner Award. 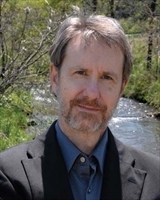 Twice the recipient of the O.Henry Prize, he teaches at Western Carolina University. What a sad week at our house. My poor daughter, who lives for American Idol, was crushed when her favorite, Colton Dixon, was voted off. 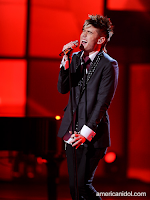 She has totally sucked me into watching the show with her and I was disappointed to see this kid voted off since he brought so much showmanship to the show. I am wondering, however, if now that he's gone, she'll lose interest in the show. If that happens, will I as well? It would sure be nice to be able to give myself those three hours a week to read again! I feel like I'm treading water with my reading lately. With readalongs, I'm just not getting anything finished. Thank heavens for Dewey's Readathon, which I'm sleeping off right now! Much as I'm really starting to enjoy Bleak House, I'll be glad to have that chunk of reading done. Even moving at the faster pace that I'm getting through it now, every week's reading is taking me a few hours. I'd be half way through most of a "regular" book in those hours! Books I've recently discovered that I'm looking forward to included City of Scoundrels by Gary Krist and Hollywood Boulevard by Janyce Stefan-Cole, Unbridled Books latest release. Which hour was most daunting for you? As always, this is always the hour I call it a night. When it becomes "daunting," it's no longer fun and if I'm not enjoying it, I'm not doing it. Could you list a few high-interest books that you think could keep a Reader engaged for next year? I didn't read any this year, but previously I've read graphic novels during readathon that really help through those late hours. Do you have any suggestions for how to improve the Read-a-thon next year? Nope. I only wish that my hours were different. I think I could stay awake longer if I were able read for part of two nights instead of having all of my last six hours during a time I'm usually asleep and the house is so quiet. What do you think worked really well in this year’s Read-a-thon? Lots of fun sounding mini-challenges. If I wasn't cheerleading, I would have liked to participate in more of them. How many books did you read? 2. The first readathon I ever did, I got 5 books read. I feel like such a failure every time I don't read that many. Which is every time! Which did you enjoy least? I liked both of the books I read. If you were a Cheerleader, do you have any advice for next year’s Cheerleaders? Don't put it off. I know people probably appreciate being cheered on during the later hours but you just might not make it to the end to get to everyone. How likely are you to participate in the Read-a-thon again? What role would you be likely to take next time? I'll definitely participate in the Read-a-thon again, though I might tweak my hours a bit. Next time I think I'd like to host a mini-challenge. I'm off and reading - although I'm getting a late start. Stayed up much too late last night and there was no way I was going to try to read 24 hours on 4 hours of sleep! I took a lovely picture of the way I'm starting the day but now I can't find the cord to download pictures to my computer. Off to a great start! So...as soon as I get this post finished, I'm off to start Calling Invisible Women by Jeanne Ray (for review) while I enjoy my cup of coffee and a bowl of steel cut oats with raisins. I'm not a morning person so I'm loving a breakfast that is hot and ready when I wake up! I'm reading "Calling Invisible Women" by Jeanne Ray. There are quite a lot scenes with food, but I think for book club what I'd go with is a pasta dinner with salad and bread. I'd have to bring out the good dishes, though. The invisible ladies are talking a lot about being crystal clear so we'd have white wine in crystal to drink. Bully for you, Charles Dickens! You've got this thing going now and things are really starting to get interesting. Poor Esther has suffered from what must be small pox, and survived, although scarred. Poor Richard has done lost his mind to the Jarndyce and Jarndyce case. And poor Lady D has had to make the greatest sacrifice. "Has he so little pity of compunction?" "He has none, and no anger. He is indifferent to everything but his calling. His calling is the acquisition of secrets, and the holding possession of such power as they give him, with no sharer or opponent in it." 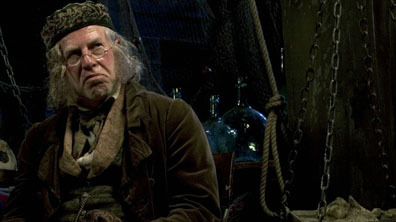 Tulkinghorn was played to perfection in the 2005 BBC production of "Bleak House." Doesn't this guy look just as cold as that description? Yes there was another new character this week but now that I've gotten to the point in this book where things are finally starting to happen, I was frustrated to find a long bit that didn't seem to progress the story at all. 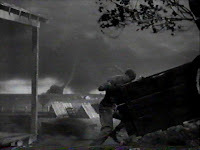 Couldn't Dickens have just said "and Caddy lived happily ever after?" 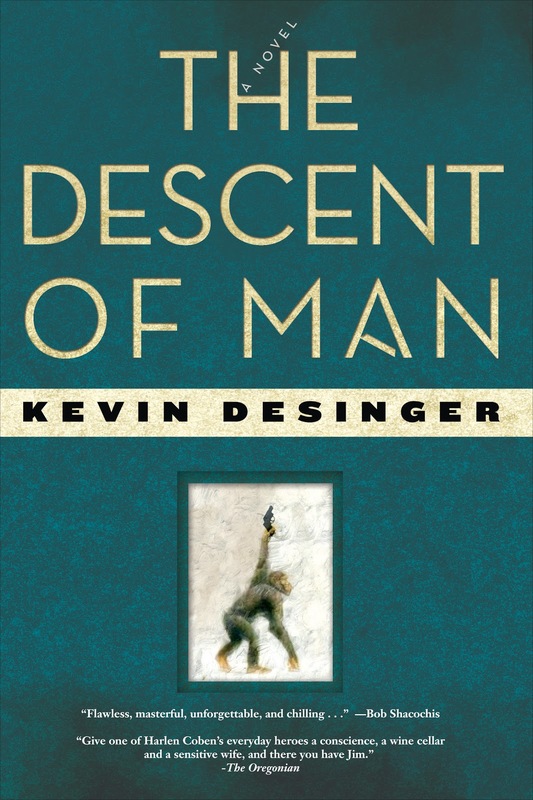 The Descent of Man by Kevin Desinger, which you might know as the book that was on my desk and then magically disappeared, is being released this month in paperback by Unbridled Books. Now you all know how much I love Unbridled Books so you can imagine how disappointed I am to have misplaced this book. Thankfully, Caitlin, from Unbridled Books, has kindly sent me an excerpt from the book to share with you until I finally find my copy. slept on, but she can sleep through anything. I’m standing here like an idiot watching two guys steal our car. eyes like a little girl. was about the nicest car on the block. The pipe felt natural in my fist. glancing toward the two guys breaking into our car. They had their backs to me. level into my hand. It spread up my arm and shoulder and concentrated in my chest. Something in the Camry broke with a loud snap, and one of the car thieves swore. smelled like a riverside tavern: cigarettes, sweat, mildew, and beer. faster than I’d ever seen a car travel on a residential street. couldn’t decide whether it was irony, poetic justice, or just dumb luck. And where is your husband now? If you're seeing this now, then it can only mean that we've survived the storms! For most of the past week, forecasts were for us to be blown off the map on Saturday and the dire predictions just kept getting worse as the day approached. I almost fled to the basement for protection early Saturday morning just to be on the safe side! Fortunately, we only got quite a lot of heavy storms. Sadly, others were not so fortunate. I made good use of all of that nervous energy and got a lot done around the house but I was too jumpy to sit and read. I may never finish Edith Wharton's The House of Mirth at this pace! To make reading matters worse, I've lost a book I got for a scheduled review. That's never happened before and I can't imagine where it could have gone. It was on my desk and now it isn't. Where could a book possibly have gone on its own? Must finish my taxes up yet today - I'm never in a rush to do them when I know I'll be paying but I'm always a bit miffed at myself for putting them off so long! Doing taxes for four people has seriously cut into my reading time, as well, which makes me dislike them even more! This week's reading will include my weekly assignment for Bleak House, at least a hundred or so pages of The House of Mirth, and maybe even I can get a start on Ron Rash's latest, The Cove. What are you reading this week? Huzzah! Things are really starting to happen now, after only a 350 page buildup. Little surprises, big surprises, characters are coming together and I'm finally, finally really wanting to pick up this book and read! No new characters to keep track of - 'nuff said. Spontaneous combustion. Apparently this wasn't just an interesting way to kill off a character; Dickens actually believed that spontaneous combustion was possible. The descriptions of this - so vivid! BBC's Krook - before he combusted! 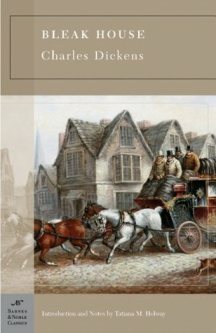 Is it possible that Dickens forgot that earlier in the book he had made a point to show Mrs. Woodcourt snubbing Esther then all of a sudden she is staying at Bleak House and making buddy-buddy with Esther. Okay, I'm pretty sure it wasn't a mistake and she's not necessarily trying to endear herself to Esther but still, it was strange. Do not ever accidentally check the character list for a book in SparkNotes to be reminded who a character is. They totally spoil things in their explanations. So irritated do have found out some things I would far preferred to have had revealed to me much later! When the Taliban rode into Kabul in 1996 it wasn't as if they were seizing control of city where peace reigned and people went about their business without worry. Afghanistan had been a country in turmoil since the monarchy was overthrown in 1973. Within a year of a 1978 military coup, the U.S.S.R had moved into the country in force. Ten years later, the U.S.-supported Mujahideen toppled the Soviets but the void left behind led to years of civil war. Still, nothing could have prepared the residents of Kabul for the changes to their world the Taliban immediately began making. Through all of the years of turmoil, Woja Abdul Sidiqi continued to believe in his country and instilled the importance of education in all eleven of his children, including his daughter, Kamila. Yet when the Taliban took control of Kabul, Kamila and her eight sisters could now longer go to school. In fact, they could no longer hold jobs, could no longer be seen out in public unless they were completely covered by a garment called a chadri and were accompanied by a male member of their own family, and could no longer speak to any male who was not a relative. They were regularly beaten for infringements as small as showing a wrist, speaking a bit too loudly, wearing the wrong shoes. When both Woja, his wife and their oldest son were forced to flee Kabul, their daughters were left to fend for themselves. It didn't take long for then teenaged Kamila to realize that their money would not last long without a bread earner in the house and she was certain that she was not the kind of person who could just sit in the house day after day. 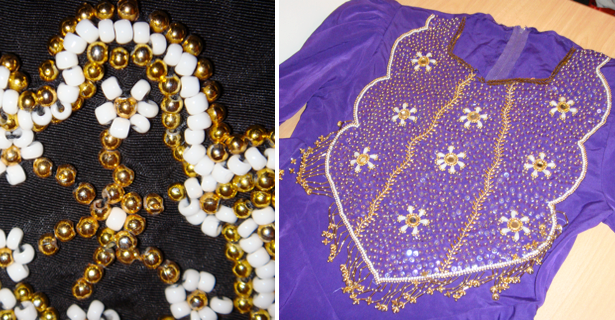 One day she struck upon the idea of becoming a seamstress, a job she could do at home. Enlisting her oldest sister to teach her to sew, and her young brother to accompany her to the market to sell her goods, Kamila was soon making enough money to support her family but it wasn't enough of her. Quickly Kamila found ways to help other women support their own families, first through hiring them to help her family, then by starting a sewing school and eventually working with the UN to reach even more women. Kamila Sidiqi is an astonishing young woman, the kind of woman that makes you wonder what kind of inner strength you might find in yourself if the circumstances called for it. Every day she and her family risked beatings and prison, yet Kamila persevered. She learned to work within the confines of the Taliban regime and how to deal with them when the need arose. In 2005, Gayle Tzemach Lemmon, who was then a journalist, went in search of stories about women who not only survived war-torn countries but flourished as business women who not only supported their own families but whose work helped to rebuild their countries. Kamila Sidiqi's story was just the thing she was looking for and over the next few years, Lemmon became a part of the Sidiqi family as she explored the story of Kamila's commitment to her fellow woman. 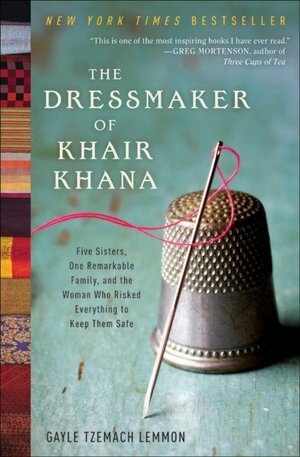 The Dressmaker of Khair Khana is narrative nonfiction that pulls the reader in immediately. The book did feel as though it got bogged down a bit in the details early on and later I sometimes felt as if the book were racing ahead of itself. These are minor quibbles.Lemmon has crafted a book where the fear is so palpable that as I was reading I was often afraid to keep going so frightened was I of what might happen to Kamila and her family. I am deeply in awe of what Kamila Sidiqi has accomplished and grateful to Lemmon for bringing not only her story, but the stories of so many like her, to light. 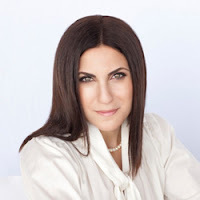 To learn more about Gayle Lemmon, Kamila Sidiqi and groups that are working to help women world wide, visit Lemmon's website. For other opinions about the book, check out the full list of tour sites at TLC Book Tours. Even though it's cooled off here, it always feels like spring is truly here once Easter arrives. With spring comes a new kind of reading. 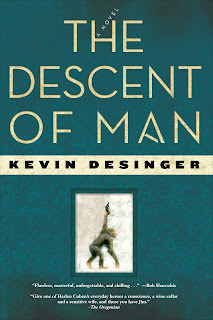 For Greg Zimmerman of The New Dork Review of Books has put together his choices for the top five novels about baseball over at Book Riot. Those are the novels. Do you have any books about baseball that you would add to a list of the top five non-fiction books about baseball? If you're like me, it's also time for spring cleaning. Good Housekeeping has these suggestions for organizing your bookshelves. Of course, while you're at it, you might be tempted to add a couple of organizing books to your shelves to help you get your house in order. Did you know there's an entire book devoted to cleaning with white vinegar? 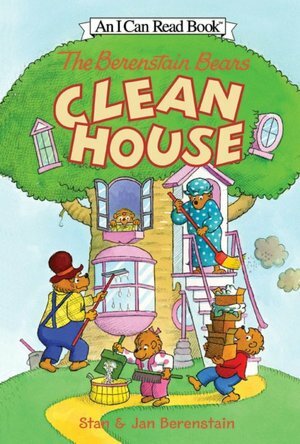 In memory of the late Jan Berenstain, maybe you can even pick up The Berenstain Bears Clean House and enlist the kids to help you this spring. What kind of things does spring inspire you to do? Does it have an impact on your reading? 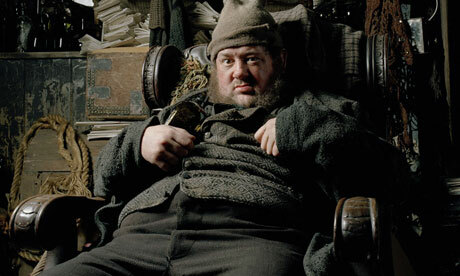 I fell behind last week and had to read two weeks' worth of Bleak House this week. Seriously, the reading for last week tended to put me to sleep within a few pages. It was slow going this week! True, they were new characters (and you know how tired I'm getting of all of these new characters - see below) but I thoroughly enjoyed the introduction of the Smallweed family. What a strange group they are! The best thing this week? Wallace left us this week just as a major bombshell was dropped. Okay, it wasn't a total surprise. I'm willing to bet that most of those joining in the readalong had more than an inkling about who Esther's mother was. But it all came out so marvelously! Really Charles, do we really need to learn so much about EVERY new character you're introducing? I've lost my ability to care about any of the background story for a lot of these people - Phil, I'm sorry, but I'm looking at you. It's getting hard to say anything about the book without giving things away, on the chance that you'll someday choose to pick this one up. I'm looking forward to the reading for the coming week, thanks largely to the last chapter this week. I think that maybe, just maybe Dickens is starting to bring all of these loose ends together. Wow! I got so much more done with my blog than I was expecting to this weekend. I didn't manage to cross everything off my list but that's mostly because I got completely distracted by the idea of creating a new header. Picasa and I had quite a few angry words but I finally figured out how to use it for some of the work and the Microsoft editor for the final piece. If you were up really late Saturday night watching my blog, you would have noticed some very strange configurations popping up. Of course a new header lead to a whole new look. I like it so much better now that it looks more personal but it remains a work in progress. 5. Beth Fish Reads: Labels and Tags (oh, sure I found this one after I spent hrs on my tags & gave up on them--now back to it! All in all, a very productive weekend...if you don't look any where in my house. The blog looks better, the house, not so much! Happy April Fool's Day! I wish I had some wonderful little prank to play on you but I'm pretty sure that the "Guess what, I'm pregnant" prank won't work the same way on you that it worked on my husband for something like ten years. I'm excited that Timothy Schaffert's latest, The Coffins of Little Hope, is coming out April 10th in trade paperback. I read this one a year ago and couldn't have enjoyed it more (my review here). Timothy is a great asset to the reading and writing communities on Omaha and throughout Nebraska so I'm happy to see him getting so much great press for this book. Plus, it's published by Unbridled Books and you know how much I love them! I'm busy working away on Bloggiesta projects still today and anything I've started by end of day today is a commitment I'm making to myself to finish so you may notice some things half-finished and in a state of flux as the week progresses. It may well cut into my reading time - luckily I don't have reviews scheduled this week. What are your reading plans for the week?